We hope you will join us on campus for tonight’s Askwith Debate on test-based accountability. Please share this information with members of your community. These programs are free and open to the public. Test-based accountability has been a cornerstone of education policy in the United States for decades, and testing now has a tremendous influence on daily life in schools. With the replacement of No Child Left Behind with the Every Student Succeeds Act (ESSA), states have more leeway than previously to change the ways in which they use testing. This shift provides an ideal time to take stock of the effects of high-stakes testing and to rethink how testing is used. 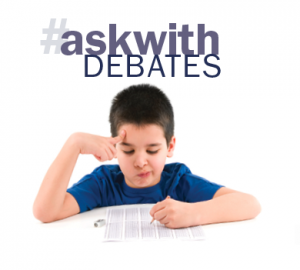 Proponents and skeptics will debate the pros and cons of high-stakes testing. How much has student learning really improved? Can we trust the increases in scores that states and districts and individual schools often report? What have been the effects of high-stakes testing, both good and bad, on the practices of educators? What impact does test-based accountability have on children, families, and teachers? Askwith Forums and Debates are streamed live, unless otherwise noted, from the HGSE homepage on the day of the forum. The Askwith Forums and Debates are a series of free public lectures at the Harvard Graduate School of Education, established in 1998 by the children and grandchildren in honor of Herbert Askwith AB'(19)07, a New York City public relations consultant, writer, and publishing executive. The Askwith Forums and Debates feature a wide range of topics, including early childhood, civic and moral engagement, diversity and equity, expanded learning models, educating for human rights, and international education. Topics are initiated by faculty, students, and alumni, and aim to address the highest-priority challenges facing the education sector. Prominent speakers have included former U.S. Secretary of Education Arne Duncan, historian Noam Chomsky, Children’s Defense Fund Founder Marian Wright Edelman, former U.S. Secretary of Defense Colin Powell, and Khan Academy Founder and CEO Sal Khan.